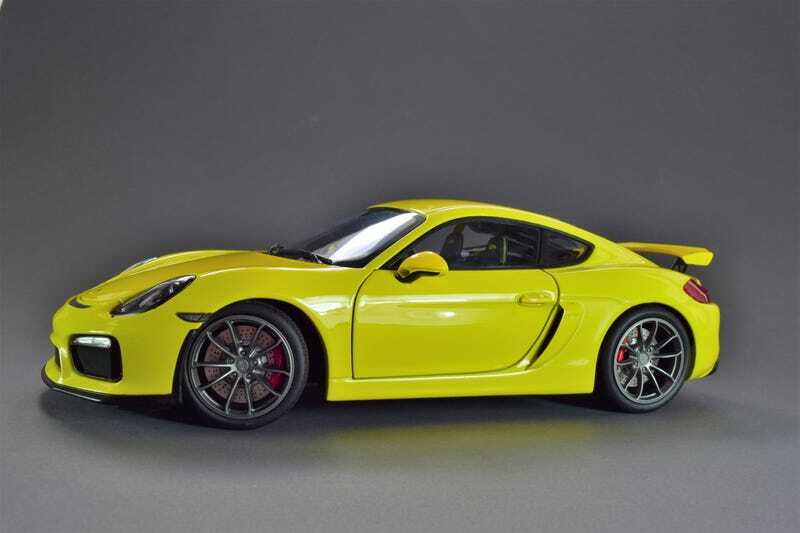 Part 2 of this Tuetonic Tuesday features the Schuco Porsche Cayman GT4. If you already read my post on the Targa, all of that just about applies here. There are 3 notable exceptions though. The hood fits better, the wheels are sized better, and Schuco is not immune to the yellow paint scourge. In addition to the normal “thinness” that shows up along some edges and panel lines, it also looks like 2 different colors under fluorescent lights. If you are a Porsche fanatic, these Schucos deserve a look.